Culinaria provides outstanding food and fun customized to every need of our clients. We specialize in outdoor and on location catering. 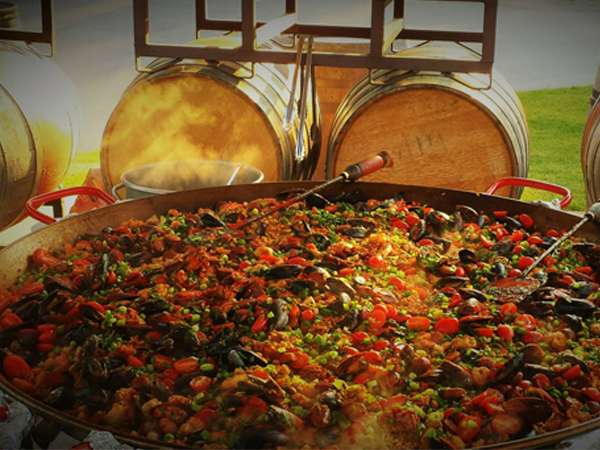 One of our most popular menus is authentic Spanish Paella, prepared interactively in front of your guests. 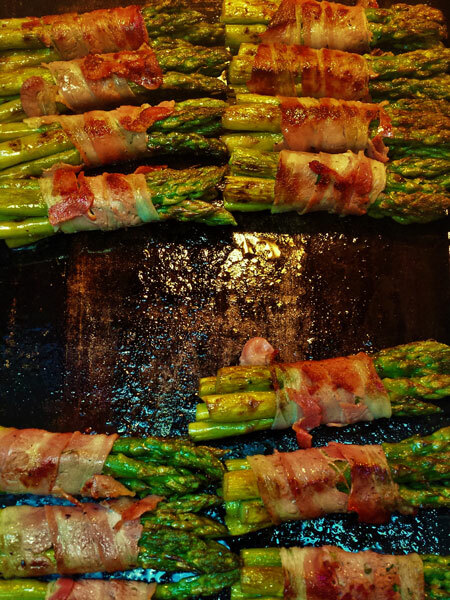 BBQ menus, Pig Roasts, Potato pancake parties with a huge toppings bar, Fajita and taco bars, Hors oeuvres and appetizers, buffets of all kinds, from casual to upscale we make it memorable. 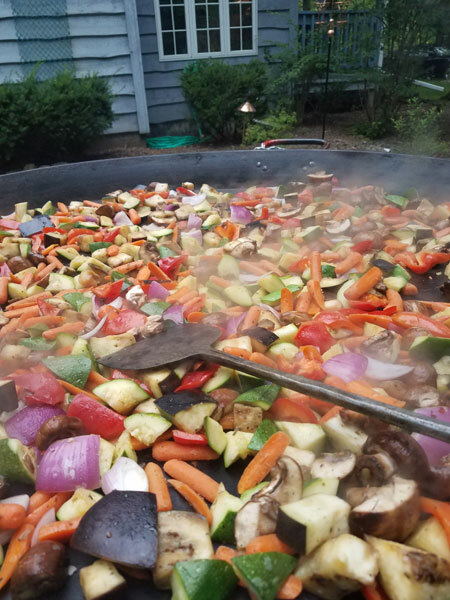 Outdoor events, weddings, businesses, family, graduations, and gatherings of all kinds, we can suggest a menu to fit your event or we customize based on your ideas. 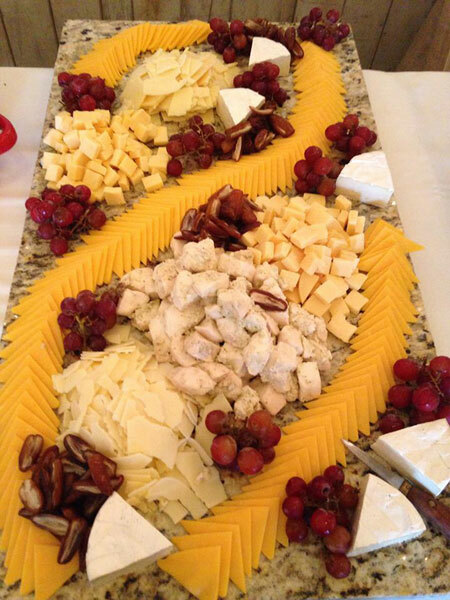 We also offer a full menu of tray catering specialties available for you to pick up and ready to serve. to schedule your catering event. Eat well and be happy, its good for those who love you! 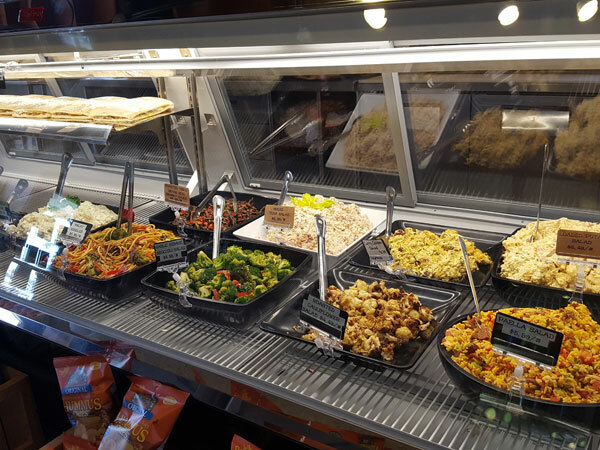 Fresh and delicious food is only part of what makes our deli special. Add quality, convenience, originality, great service, and value and you have more than just a great deli, we are a destination, friend, and partner in the way you want to live. 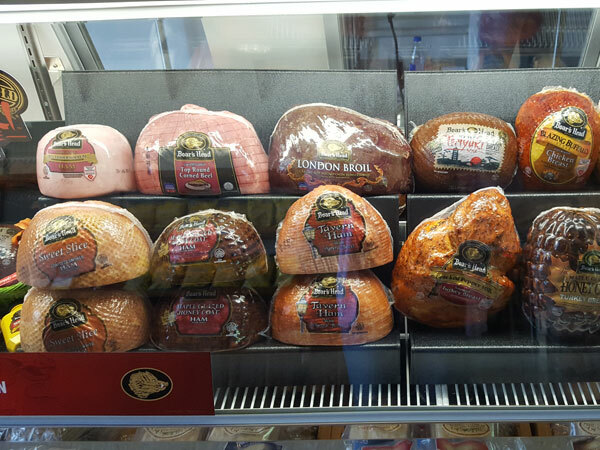 We proudly feature top quality Boar’s Head brand meats and cheeses sliced to order. 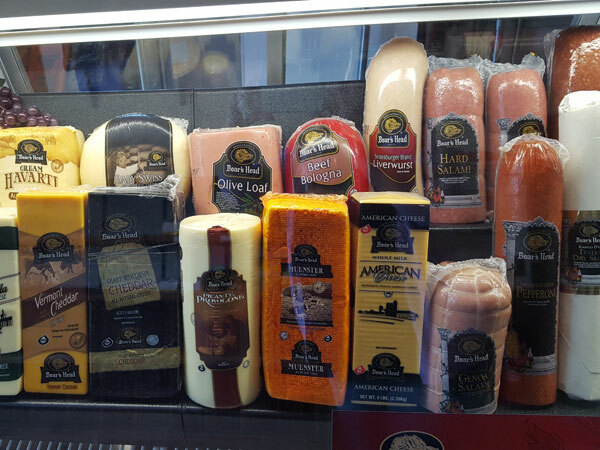 Boar’s Head meats and cheeses are minimally processed and always free of gluten, artificial flavors or colors, msg, fillers or by-products, or trans-fat from partially hydrogenated oils. None of those means you get more for your money. More natural flavor, more nutrition, more protein, more satisfaction. Check out our case of fresh deli salads. We go beyond pasta, potatoes, and mayonnaise and offer a large selection of fresh vegetable salads with dressings made from great ingredients like fruit juices, vinaigrettes, and Greek yogurt. 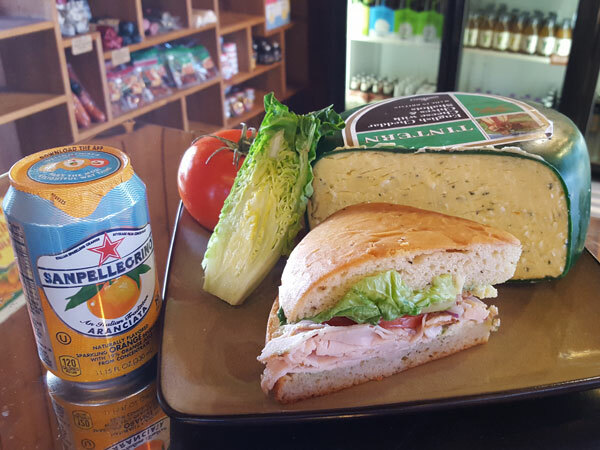 Stop in and enjoy a fresh sandwich made to your liking served hot panini pressed or cold, or choose from our grab and go daily special sandwiches, salads, or famous Italian. Try our soup of the day or chili, all made from scratch in house. Or enjoy our daily hot sliders, hot Italian beef, Cuban panini, and daily specials. Eat here or take it to go! We are all about the Door County lifestyle and make it easy to grab what you need for a day on the water, a hike, outdoor theatre, or any type of gathering with friends and family. Order a full packaged boxed Lunch or select from our catering trays to share! Don’t know what is for dinner? Our grab and go case has the answer! We have a variety of dips, our own take and bake pizza and made from scratch entrees from family favorites to unique and creative specialty quality meals. Call ahead and see if we can make your favorites just for you! 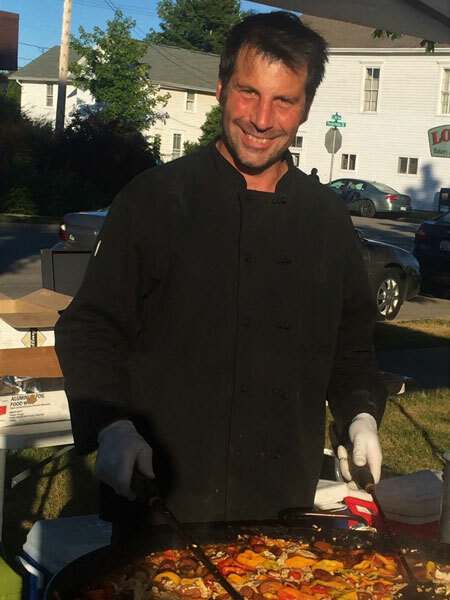 Watch for our special events and cookouts on the lawn including out famous Paella!